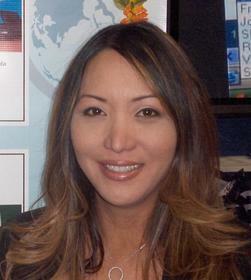 HONOLULU, HI -- (MARKET WIRE) -- May 15, 2007 -- Donna Iwane, CEO & Founder of eMortgedge Corporation, announces the inaugural release of 1003POWER Version 1, an innovative loan origination system (LOS) that speeds and simplifies all facets of loan processing. With the debut of 1003POWER (www.1003POWER.com), flawed loan origination software programs will find themselves surpassed by a comprehensive online system that offers more benefits than its competitors, greater flexibility with its 24/7 secured interface and the added convenience of never again having to pay for expensive add-ons. This innovative technology is so versatile it is about to set a new precedent in loan origination and processing, eliminating all the irritants and wasted time endured by both brokers and loan processors. "After spending years exasperated with the inadequacies associated with the industry's software, I developed a loan origination system that caters to the daily needs of mortgage brokers and processors, eliminating the stress of lost paperwork, messy post-it notes and miscommunications," says Ms. Iwane. Subscribers of the landmark 1003POWER V1 will be astounded by the multiple functions of its technology. Users simply log onto the eMortgedge Web site (www.1003POWER.com) from anywhere with Internet access, sign in with user name/pass code and with just a click of the mouse, the process begins. By utilizing this revolutionary collaboration of technology and industry experience, 1003POWER's 100% web-based system allows mortgage professionals to take advantage of their newfound capability to dramatically reduce overhead costs, increase loan production, and manage their time more efficiently. "Plus 1003POWER V1 speeds up the loan process to under a minute, which is a goal that has been met with our web-based application," proclaims Iwane. 1003POWER V1 provides the unparalleled ability to view files anytime, from anywhere in the world with Internet access. This allows mortgage brokers to service their clients and run their businesses beyond the constraints of a traditional office or the deficient parameters of software-based programs. Moreover, clients can now easily interact online with loan officers and track their loan status without having to wait for phone calls or emails from their broker. 1003POWER V1 launches with a distinguished set of features that simplifies every aspect of the arduous loan application process, making this task virtually seamless. -- The first web-based system that is accessed directly from the 1003POWER website -- no CDs are needed to order or to install. -- Mobile Access via PDA or Cell Phone -- loan officers can access information not only from a laptop but also from a cell phone or PDA. -- File Control -- users can upload loan documents to an electronic file on their computer for easy reference and access. -- Auto Reminder Notification -- automatically generates email reminders to clients from the loan officer for refinancing loans, holiday and birthday greetings, saving time and money in marketing. -- Online PDF Transfer -- directly fill in template and email document. -- Multiple Viewer Capability -- Mortgage brokers and clients can access the documents with a high level of security. No need for copying and sending documents, or scheduling meetings in the office. Brokers can work anytime from any location and always have ready access to all needed documents. Clients can review their application process online at any time. -- Saves on Overhead Costs -- eliminates paper files, searching for documents, faxing back and forth -- all documents are available in one secure place accessible from a laptop or desktop. Production costs are greatly reduced. -- Security and Support -- eMortgedge servers have SSL (Secure Server Layer) Security, which encrypts information to insure user confidentiality while providing the highest level of data protection to system users. 1003POWER's server provider includes a full spectrum of Internet security through the continuous updates of virus patches, responding to worm alerts, finding and filling application holes, thwarting hackers and much more. eMortgedge provides 24/7 customer care. eMortgedge's technology will transform the way the mortgage industry functions through 1003POWER V1's landmark web-based interactive loan origination system. 1003POWER V1 is available at no cost for a thirty-day trial. Please visit the 1003POWER Web site, www.1003power.com, for more information. eMortgedge Corporation is a company dedicated to providing management and time-saving tools to meet the needs of mortgage professionals. eMortgedge develops and maintains the company's comprehensive web-based loan processing system, 1003POWER V1, (www.1003power.com). eMortgedge continually strengthens and improves 1003POWER V1 to effectively meet the ever-changing challenges that face mortgage industry professionals. eMortgedge strives with one goal to continually make it better, keep it secured and safe 24/7. About this company eMortgedge, Inc.